As Comey Bolsters "Obstruction" Case, could Trump be Impeached? As Comey Bolsters “Obstruction” Case, could Trump be Impeached? 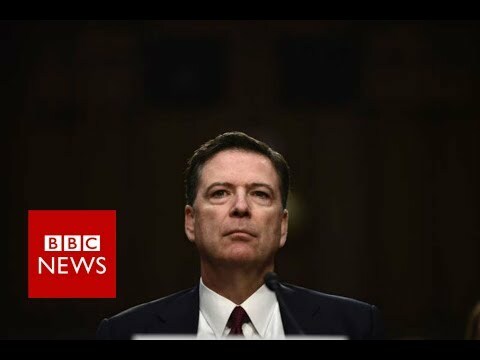 On the heels of fired FBI Director James Comey’s “unprecedented” and “devastating” testimony on Thursday, in which he accused the White House of “lies” and said President Donald Trump exerted a “chilling effect” on the FBI’s Russia probe, calls for impeachment proceedings to begin have reached a fever pitch. On several occasions during Thursday’s hearing before the Senate Intelligence Committee, Comey himself addressed the question of whether Trump abused the power of his office by expressing his “hope” that the FBI would end its investigation into the conduct of retired general and former National Security Advisor Michael Flynn. Comey just made it pretty clear Mueller is going to investigate obstruction of justice. A bombshell for the WH. While Comey expressed his belief that Trump’s comments on the Flynn investigation—which were allegedly made during a one-on-one dinner conversation with the former FBI director—amounted to “a direction,” Sen. Jim Risch (R-ID) questioned whether expressing “hope” for an outcome amounts to obstruction. None of this is to suggest that indictment or impeachment is imminent. What this does suggest is that Comey’s testimony—combined with Trump’s reported request that Coats intervene in the Flynn investigation, Coats’s nondenial of that report, and the president’s subsequent firing of the FBI chief—makes the case that Donald Trump committed obstruction of justice quite a bit more plausible than it was when the week began. All of this—the arguments of lawmakers, legal scholars, and former prosecutors in conjunction with Comey’s account and surging public outrage—amounts to an overwhelming cumulative case in favor of initiating the impeachment process. At the very least, argued Public Citizen in a statement released shortly following the Comey hearing, an independent commission should be established.